We’re starting to get into the more and more “obvious” fantasy species in this series, but in order to keep the series complete and whole, they all have to get a post of their own, even the most well known species, like vampires. Angels and demons fit that classification, too — well, for me they do. They’re super popular in paranormal and urban fantasy romance, right up there with werewolves and vampires. But they really only came to my personal attention as fiction fodder thanks to shows like Supernatural, that took a lot of the faith-based orientation out of their species and made them into more purely black & white species fighting for good and evil. That’s something I can handle better — and apparently, far more of the world in general, too — for their popularity as fantasy fiction creatures exploded. I still have a soft spot for Castiel from Supernatural. He was my first humanized angel, although I had seen angels in the movies before: City of Angels and Michael, although neither of those really got me in the gut the way Supernatural handled the whole angel & demon mythos. 1) Angels don’t have wings. Only cherubs and seraphim do. 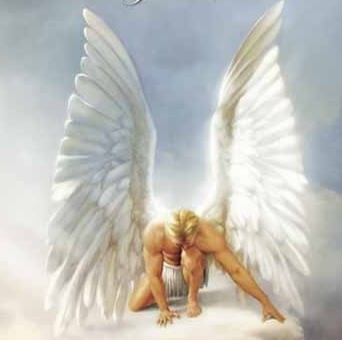 2) Angels are generally god’s messagers, but they’re not above fighting. Michael was a warrior, and others have carried and used weapons throughout biblical literature. 3) Archangels are the higher ranking and better known angels, such as Michael, the first of them, who sent Lucifer, his brother, to Hell. 4) Angels are not a purely Christian phenomenon. They also appear in the Muslim, Bahá’í, Neoplatonism, Zoroastrianism and Brahma Kumaris faiths. Like demons, vampires and werewolves, angels have appeared in thousands of romance novels. It would take me weeks to list the individual titles here. 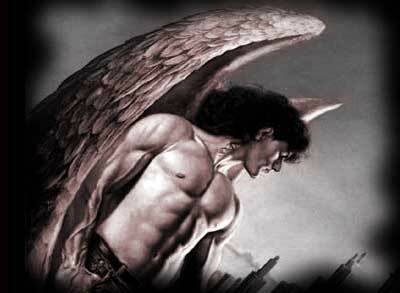 Instead, I will direct you to the Amazon search results for romance novels featuring angels. There were over 1,800 hits when I searched. When you click through you may well find even more. Have fun! Paranormal and Urban Fantasy Romance Giveaway – 1 day left.